If you are like me then the only reason you’ve heard of The King in Yellow is because of HBO’s first season of True Detective. Otherwise, you’re probably a fan of H.P. Lovecraft, who cited Chambers’s collection of stories as “One of the greatest weird tales ever written,” and a strong influence in his own work. Until True Detective, The King in Yellow was a rather obscure work that enjoyed a cult following. The strange, supernatural show’s repeated allusions and references led to a new and more mainstream appreciation. The King in Yellow is a play whose second act reveals such terrible truths that all who read it descend into madness. If that doesn’t arouse one’s rabid curiosity, nothing will. 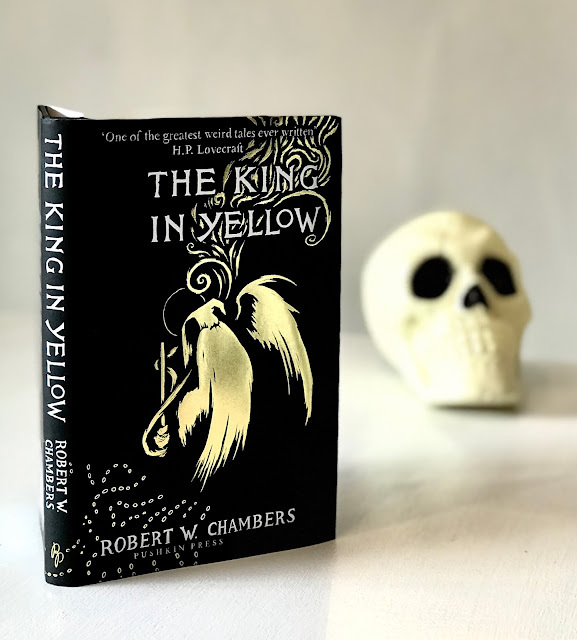 Robert Chambers wrote a collection of stories, first published in 1895, also called The King in Yellow, which are connected by the same-titled play. This particular edition is indeed “deluxe,” as it is quite handsome, with a beautiful abstract cover in black and gold and mustard yellow endpapers. This is a gift for the weird fiction aficionado in your life. HOWEVER, it only contains four of the original published stories in the following order: "The Repairer of Reputations," "The Mask," "In the Court of the Dragon," and "The Yellow Sign". The collection’s renewed popularity is acknowledged in the jacket, which mentions True Detective. Keeping in mind that this was written and published in the turn of the last, last century, I had a bit of struggle trying to comprehend the world I was thrown into in the opening story, "The Repairer of Reputations." It read as a dystopian novel as imagined in the 1800s. The characters live in 1920s America, which is now a military state. Suicide has been legalized and government Lethal Chambers have been built for those who wish to commit that final act. 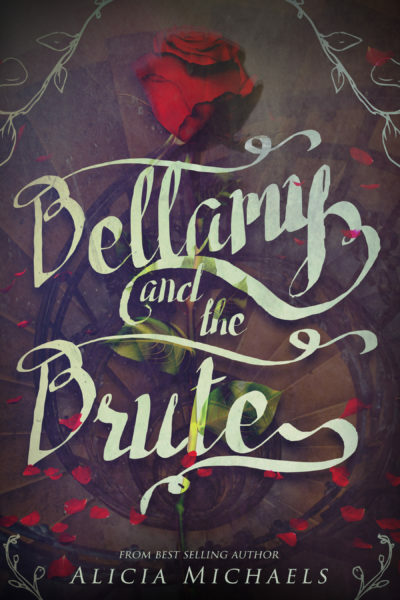 You would think in the first few pages that the story will revolve around that – but it doesn’t. Our narrator is in fact obsessed about the play, The King in Yellow, which he first read as he was convalescing after a fall from his horse. …I cannot forget Carcosa where black stars hang in the heavens; where the shadows of men’s thoughts lengthen in the afternoon, when the twin suns sink into the lake of Hali; and my mind will bear for ever the memory of the Pallid Mask. I pray God will curse the writer, as the writer has cursed the world with this beautiful, stupendous creation, terrible in its simplicity, irresistible in its truth- a world which now trembles before the King in Yellow… It is well known how the book spread like an infectious disease, from city to city, from continent to continent, barred out here, confiscated there … It could not be judged by any known standard, yet, although it was acknowledged that the supreme note of art had been struck in The King in Yellow, all felt that human nature could not bear the strain, nor thrive on words in which the essence of purest poison lurked. The very banality and innocence of the first act only allowed the blow to fall afterward with more awful effect. After this tantalizing description, one of course now wants to read this infamous play. But although the main character in each of the four stories either mention or discuss it – the actual play is an elusive cipher. The reader, perhaps fortunately, never gets to read it for herself. Instead our horrified curiosity grows with each short story – Mystery is The King in Yellow’s secret power. "The Repairer of Reputations" needs to be read multiple times – at least I needed to. Like the best weird fiction, the story is fully in the world within its pages. The first-person narrator’s point of view is slowly revealed to be twisted, and the reader comes to the shocking conclusion of just how unreliable he is. The second story, "The Mask," is a more straightforward speculative tale, about eternal life in creativity . The King in Yellow again shows up in the plot – but it is not as central as in "The Repairer of Reputations." 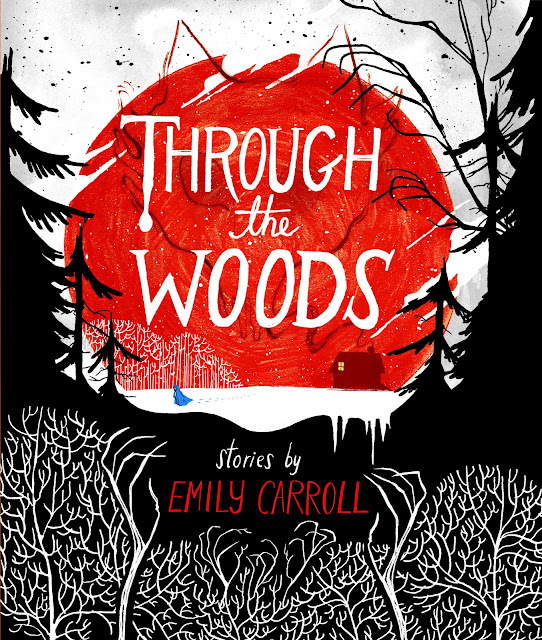 "The and Mask and "The Yellow Sign" are actually more connected than any of the other stories, both featuring artists, one of which shows up in both stories. I suggest reading them in that order. 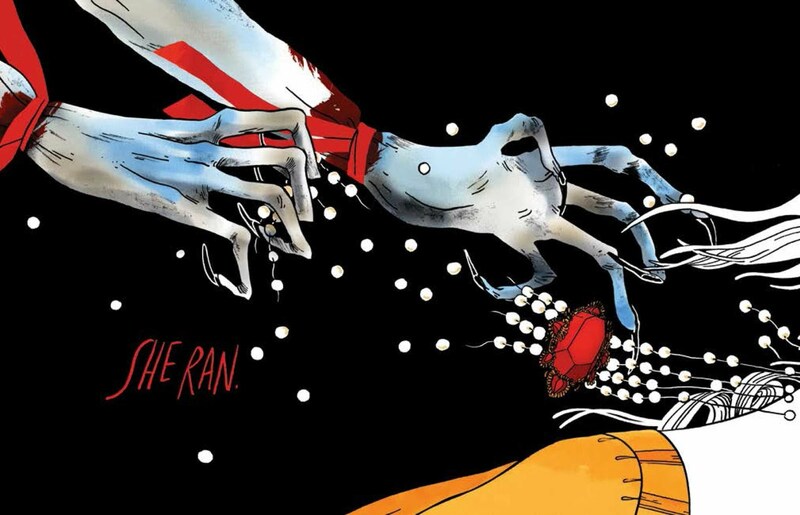 There are threads running throughout all four stories: madness, creativity and death. The King in Yellow – the play and the fictional character - hovers as a frightening, enigmatic shadow in the background. Because the actual text of the play is only revealed in snatches, the reader comes away never fully satisfied. What can be so terrifying yet beautiful that will strike me with “lunatic despair” upon revelation? One’s imagination runs rampant. I want to see the terrible truth for myself -which is perhaps madness after all. When I was at dinner recently with my family, my niece and I started talking about books we’re currently reading, as we usually do. I briefly talked about this book and she said, “You mean mansplaining?” And she proceeded to tell me how a boy in her class, unprovoked, tried to explain an assignment to her which she already understood. I doubt there is a woman who would read this book and not start nodding along in the first chapter when Solnit is at a dinner party and a prominent, wealthy man asks her what she does, then cuts her off mid-sentence to start telling her about a very important book she should read, which her friend tries and fails 3 times to tell him is a book Solnit wrote. The man pales when he at last realizes his gaffe but stumbles along in conversation, unwilling to admit his mistake. I have had “men explain things to me,” and like Solnit, I politely listened and bit back retorts so that I wouldn’t embarrass whomever it was who was lecturing me. I have no fear of asking about a subject I’m genuinely curious and/or unfamiliar with, but like others, I hate having to endure an unwanted explanation just so a man can feel powerful and smart. 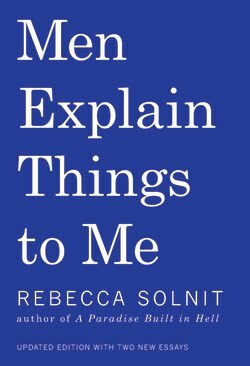 Solnit draws a connection from “mansplaining” to misogyny to violence against women in subsequent essays in the book. There are additional essays that are not as strong. The Virginia Woolf one basically made my eyes glaze over, as I started feeling like it was a reading assignment for one of my college English classes. I told my 12-year-old niece that when she’s older she should read this book. Some of it is scary – scary enough to me anyway. Harassment, violence – all goes hand in hand with roots of “mansplaining.” At 12, she’s already been subjected to its more benign scenarios but I don’t want her to have fear of living her life boldly and asserting herself. Through the Woods reminds me of Angela Carter’s The Bloody Chamber, about twisted fairy tales. 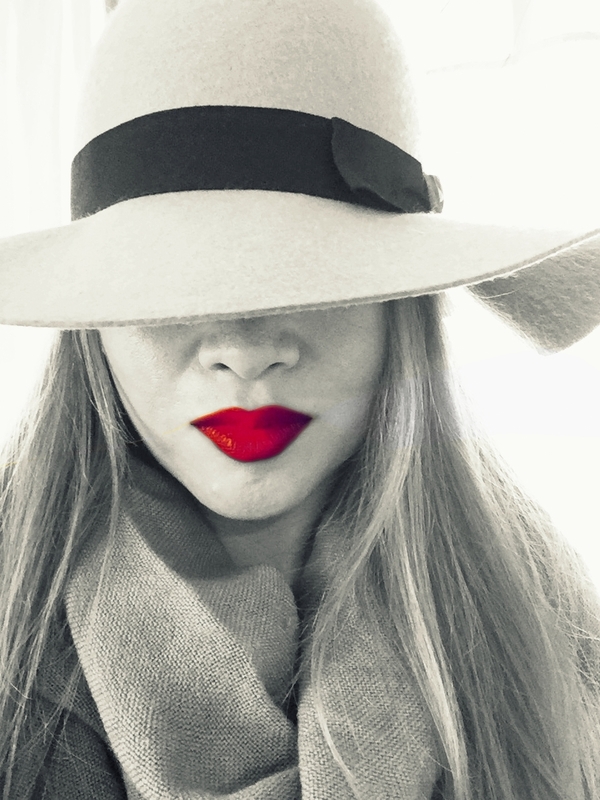 Even the black, white and red cover is reminiscent of it. But Through the Woods stands on its own, apart from the comparison. I read it all in one winter’s night. The graphics are spectacular – creepy and beautiful at the same time. 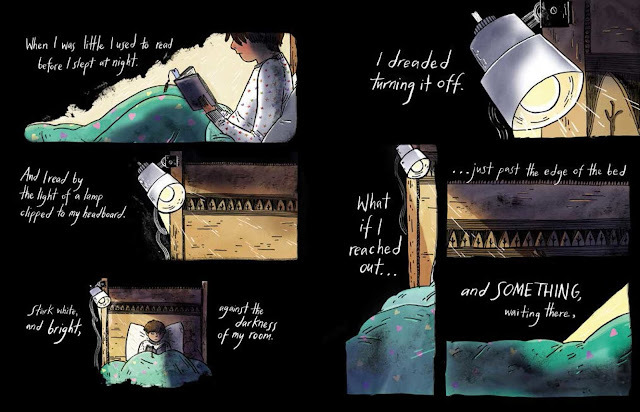 The accompanying narratives are perfectly spare – simple but memorable. Some stories I read several times. 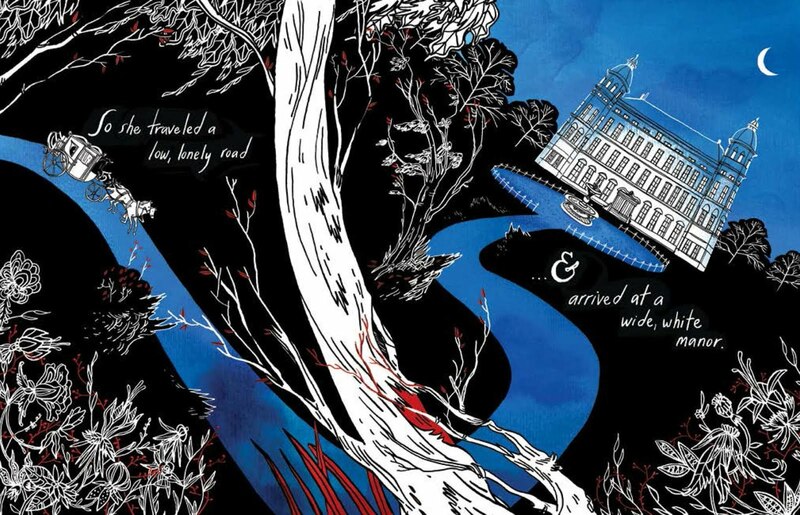 There are themes of envy, grief and secrets lurking beneath the striking illustrations. 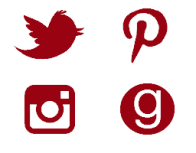 If you want to go down the rabbit hole of her stories, check out her website, where many of them are posted, complete with graphics.